There is no better time to convene a meeting to identify areas where standards and technology must be established to combat further and unnecessary encroachment. eDirectGlass, a wholly owned subsidiary of AMJ Logistics, Inc., today announced they will be hosting the first annual AGRR Standards & Technology Summit to be held on February 11, 2011 at the Talking Stick Resort in Scottsdale, Arizona. The purpose of this meeting will be to introduce and establish a framework for technology standards in the AGRR industry such as electronic first notice of loss, electronic inspection and more. “As concern in the industry reaches a boiling point with regards to third party administrator (TPA) inspections and audits, there is no better time to convene a meeting to identify areas where standards and technology must be established to combat further and unnecessary encroachment," said Gary Hart, CEO and president, eDirectGlass. “Independent auto glass retailers currently have little to no reference as it pertains to working with most TPA’s in the reporting of proof of loss and obtaining automatic electronic authorization. Establishing standards in these areas will greatly improve the conditions for all trading partners in the industry.” Hart concluded. “The IGA reaffirms its commitment to see that technical standards are developed and adopted that will aid our members and the industry at large. Establishing certainty for claims approval through documented standards will ensure the restoration of balance and customer choice for the industry,” said Rick Rosar, IGA board member and owner of Rapid Glass, Minneapolis, MN. For its part, the entire IGA board of directors will be in attendance at this summit and on-hand to answer and address all concerns that independent glass retailers have regarding the latest industry issues. The IGA strongly encourages its members and their technology solutions providers to attend. 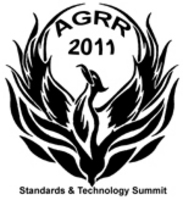 The AGRR Standards & Technology Summit will be held on Friday, February 11, 2011 from 8AM until Noon. Part of the summit will include the presentation and discussion of the current inspections data by independent glass shops along with a special Q&A session with attorney Dennis Hall regarding the rights retailers have in these situations. For more information on hotel rates, summit agenda and to RSVP, please visit http://www.agrsstech.org or call 480-993-0915, ext. 202.
eDirectGlass, owned by AMJ Logistics(TM), Inc. and founded in 1995, is a privately held corporation based in Scottsdale, Arizona. eDirectGlass is the worldwide leading provider of Internet-based AGRR enterprise resource management, point-of-sale and mobile related technologies. AMJ builds applications and solutions where all aspects of the manufacturing, supply chain vendors, insurance and end-user industries converge. These applications and solutions enhance productivity, profitability and increase customer satisfaction critical to the growth and success of the marketplace. For more information on AMJ Logistics or eDirectGlass, contact Laura Coleman (laura(dot)coleman(at)edirectglass(dot)com) at 480.993.0915 or visit our website at http://www.edirectglass.com. The Independent Glass Association is a not-for-profit trade association representing the business interests of its membership which includes independently owned and operated auto glass repair and replacement shops and industry suppliers operating across the United States, including some international members. The association is headquartered in Syracuse, New York. For more information about the IGA, please contact Executive Director Michael Russo (mrusso(at)iga(dot)org) at 315-706-9172 or visit the association’s website at http://www.iga.org. eDirectGlass is a registered trademark of AMJ Logistics, Inc. ©2011. No claim is made to the exclusive right to use “eDirectGlass” apart from the mark as shown. USA and Canada Patent Pending. IGA is a registered trademark of the Independent Glass Association.